Our XANALYS Link Explorer 6.3 course is online now! 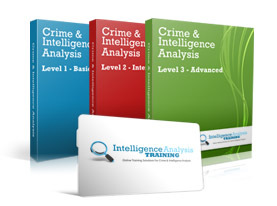 A complete investigative and intelligence platform that supports your investigation management from the capture of the initial incident report, through to the presentation of evidence in court. An agency or organisation can receive notifications of threat from a variety of sources – Whistle Blower alerts, fraud detection systems, incident reports, internal data analysis.